Bintangor: Famous Bintangor rojak, Bintangor orange juice and river travels! 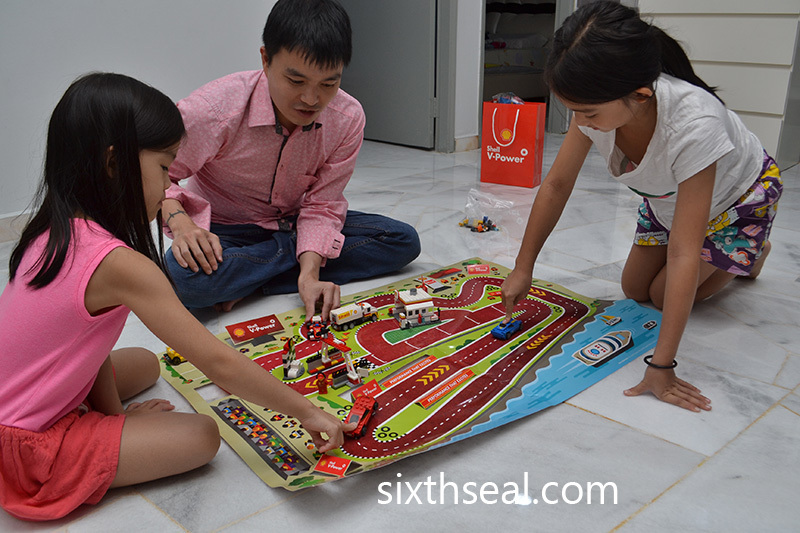 How did you manage to buy the whole set? 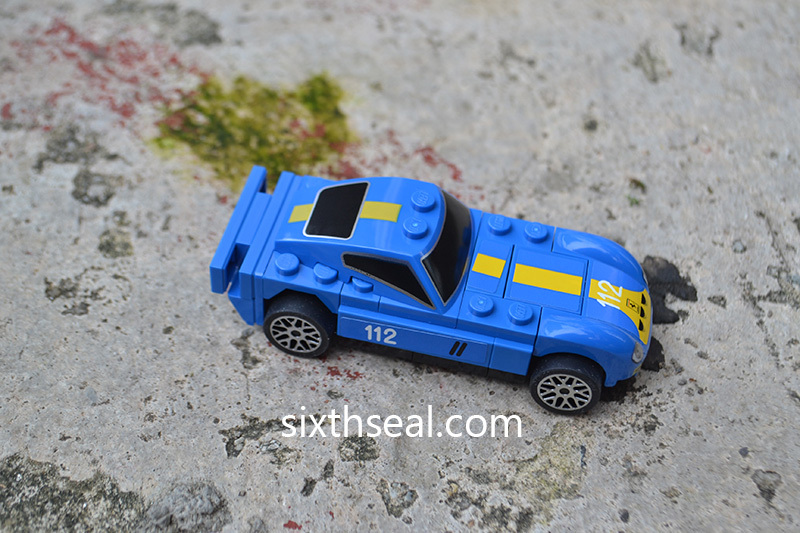 I have missed this week’s Lego toy, and I’m trying to find out where else can I get it. 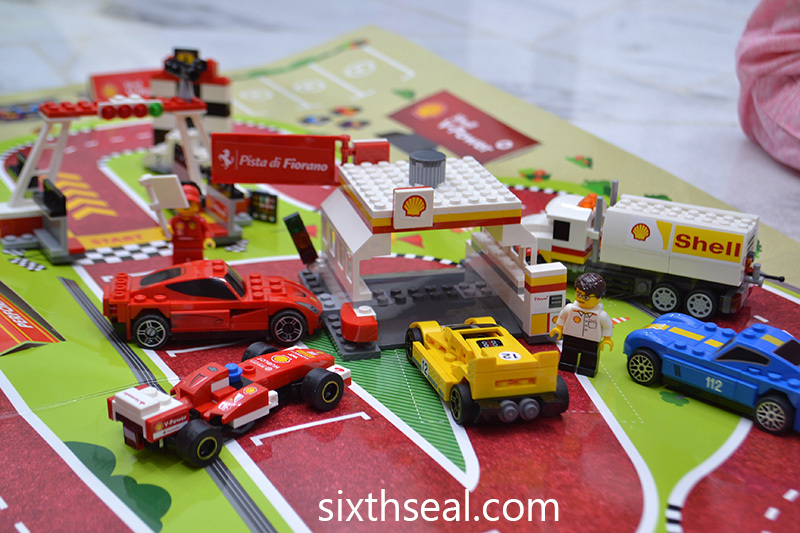 I was lucky enough to get it from Shell themselves, they had a launch event, I believe everyone who went received a goodie bag with all the LEGOs including the racing sheet. 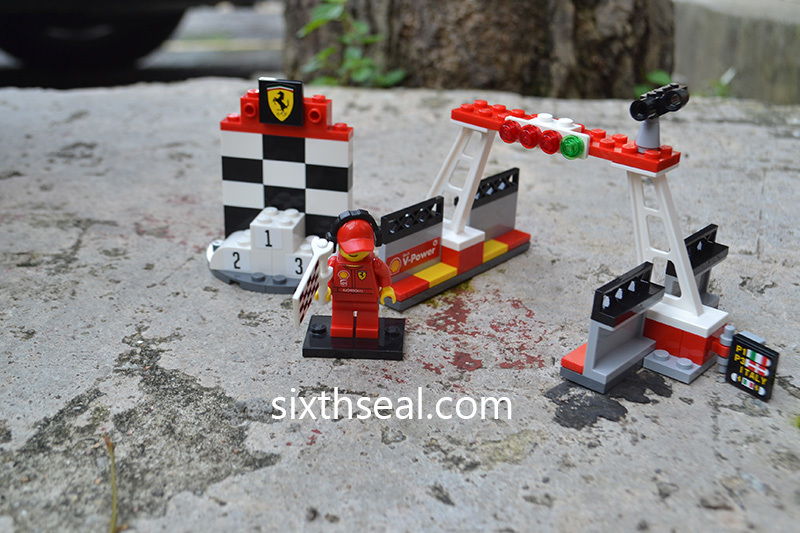 It would be very hard to get some of the items especially the limited sets like Shell Tanker otherwise. 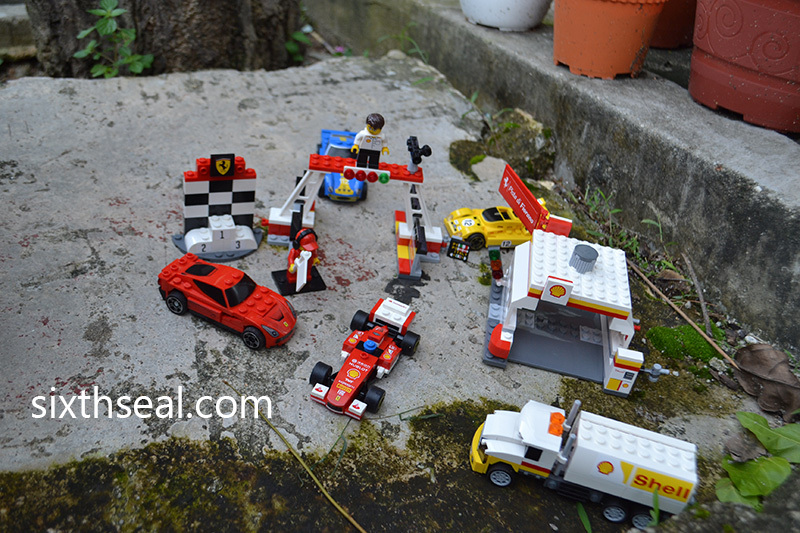 When I was a kid, there were no LEGOs being sold in Malaysia. 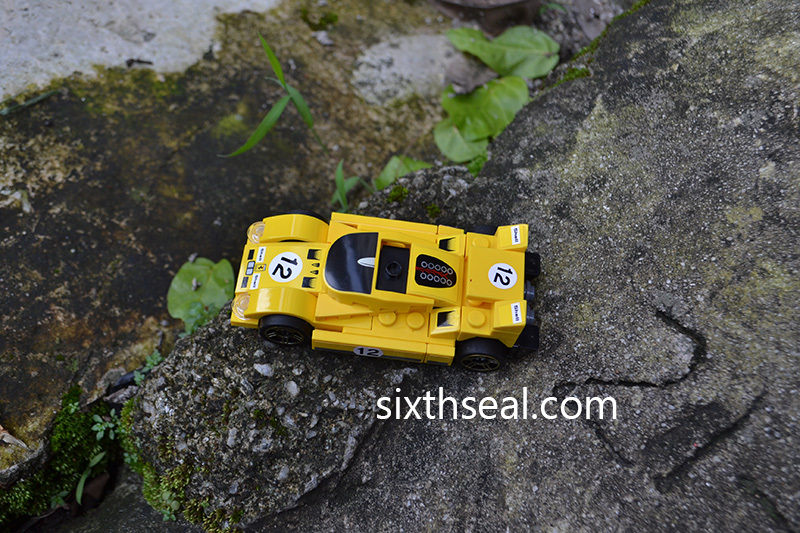 So I had to play them at one wealthy friend’s place as they bought them monthly from Hong Kong! Now it’s everywhere at the click of a mouse. I just returned from Tokyo and a Lego Freak friend asked me to get him a box from the Star Wars collections. Goodness! The price is so much higher and told him the online purchase is much cheaper. Oh well, the land & rentals are so expensive in Tokyo lah. 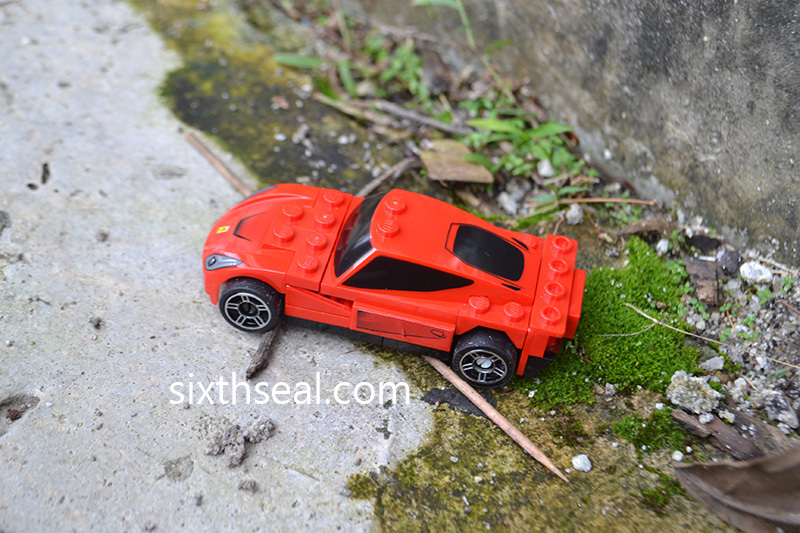 I like your lego photos taken, so realistic. Hey, you looked like a good & dotting daddy in the photos. 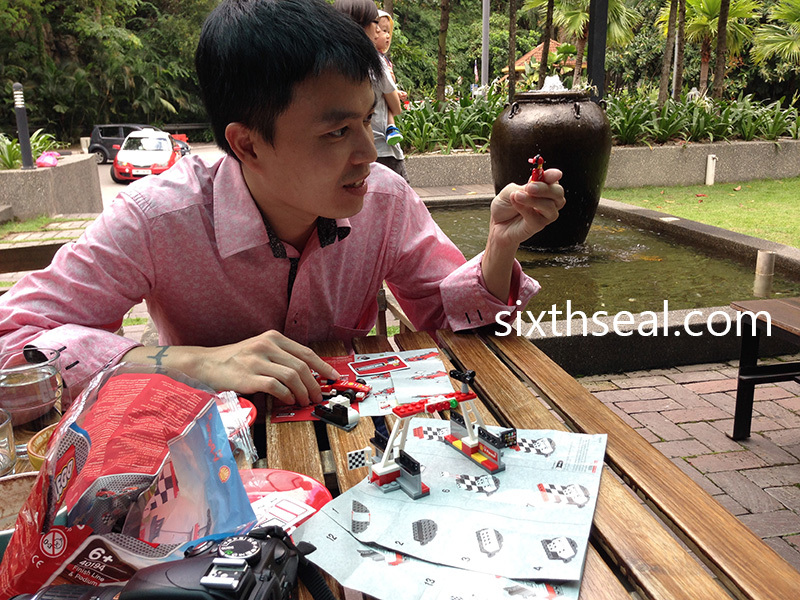 Yeah, I played with LEGOs as a kid too, but we were living in Kuching then and we definitely didn’t have LEGOs. The only toys we had were Barbie and He-Man Masters of the Universe. 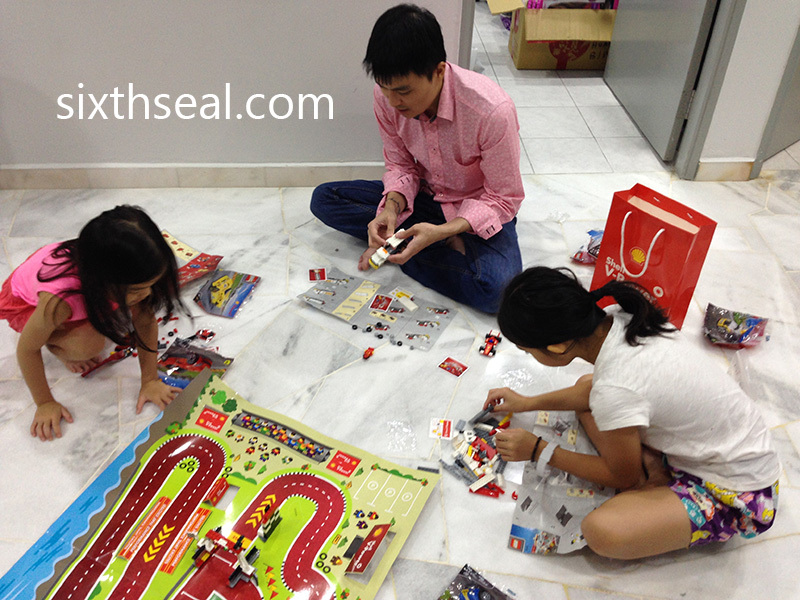 We had to go to KL and Singapore to get LEGOs and other toys, I think Toys R’ Us just opened in KL then (late 80’s) and it was sooo big to us then. Great family bonding time too. Doing things we love as family. Nice collection. 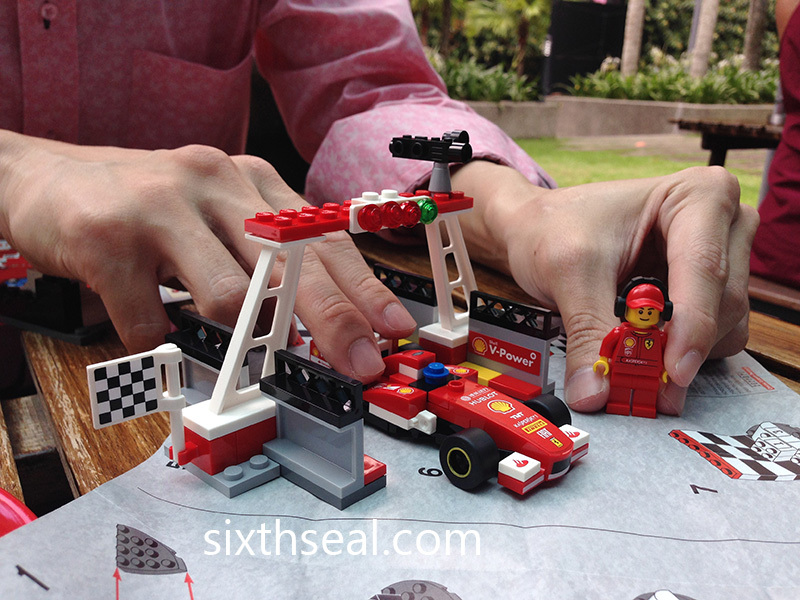 I love Lego too. Got it at another Shell event where they did the oil change. LoveMyRide I think. I got one for each of the kids. I do too, we still have one that we haven’t opened yet, the end scene to the LEGO movie, going to open that on Christmas while we have our annual family turkey dinner. 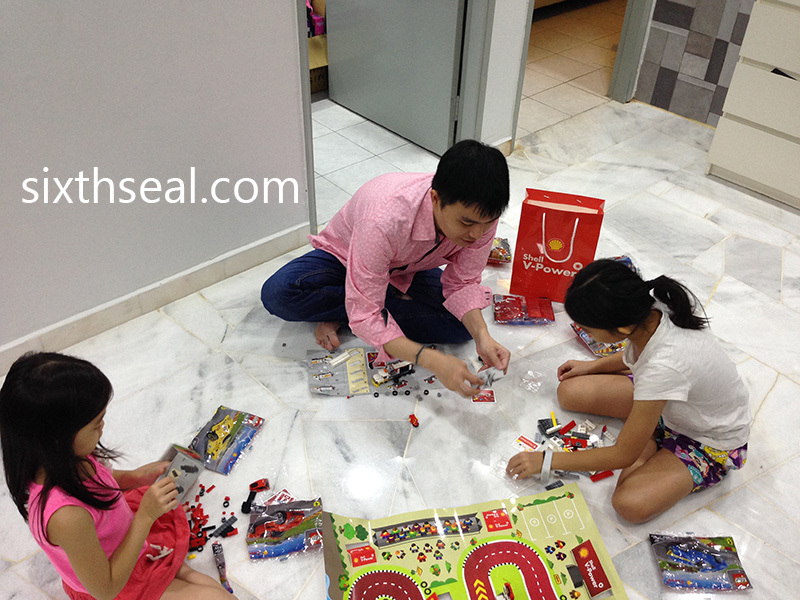 The kids loved Legoland when we brought them there too, stayed at the LEGO hotel, which was quite expensive (close to RM 1,000 per night) but worth it. Hi..love your post. 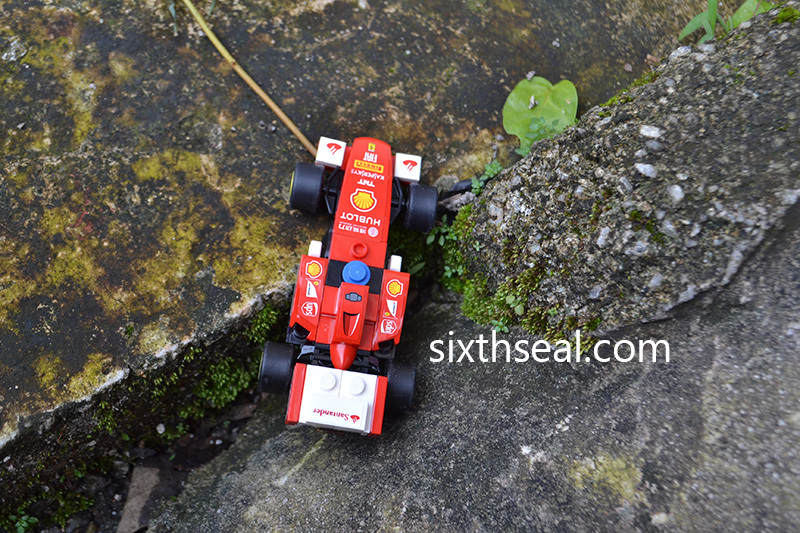 How we know they are event launch by Shell? They will invite? How i need get the shell tanker? 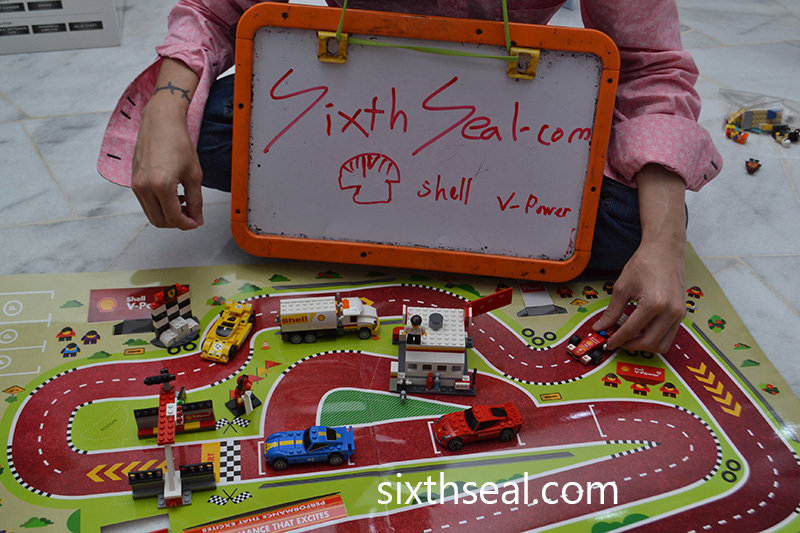 The event has already passed…it was held before the LEGO x Shell V-Power 2015 sets were released in the market. 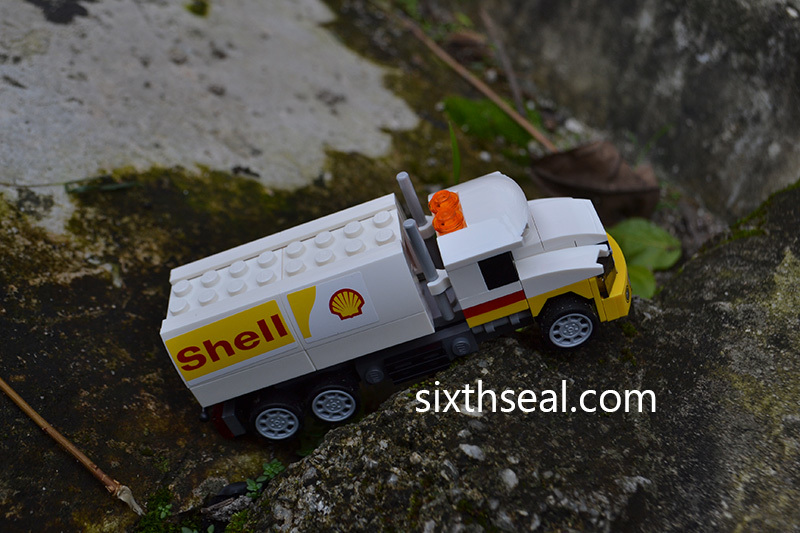 I believe the Shell Tanker has sold out, it was sold out within 30 minutes in Penang alone. 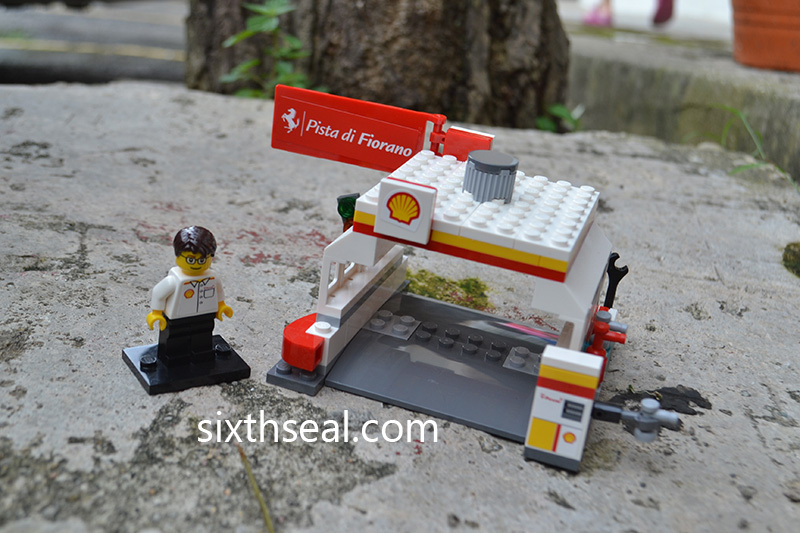 Such a pleasant review for these 2nd wave Shell Lego Promo! 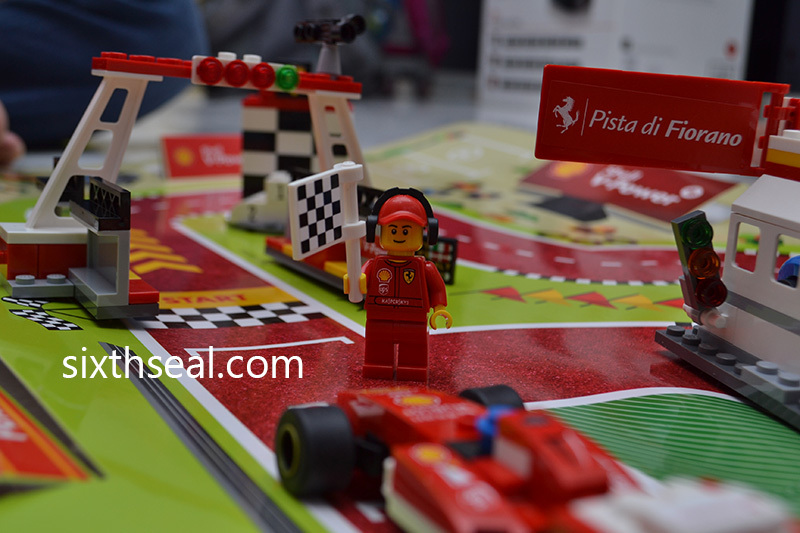 It has all the correct placemarkers and pop-ups for the Shell V-Power LEGO 2015 collection. 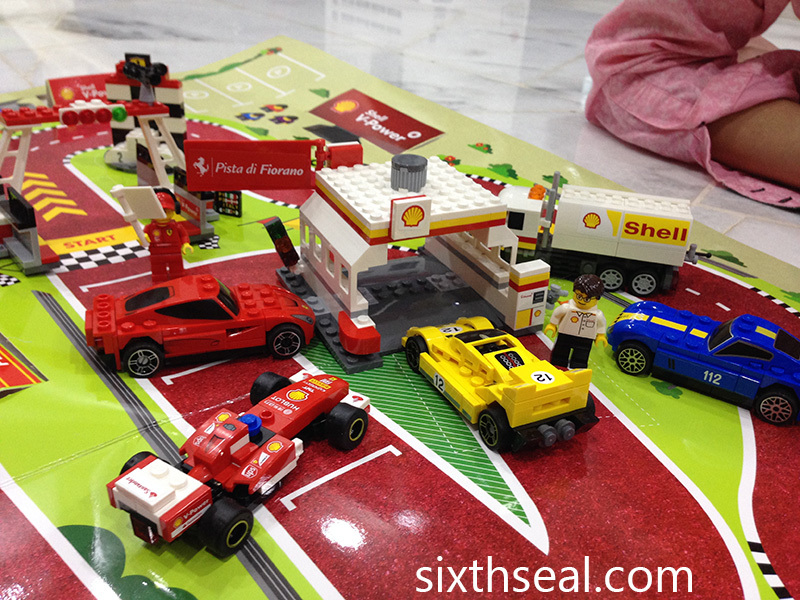 I got it from the launch of this set by Shell, it was handed out in the goodie bag during registration. I believe all media and invited guests had one on that day. I’m not sure if it’s available from other avenues. Hope that helps.